Birthplace : Oneonta, New York,U.S. Jerry Jeff Walker is an American country music singer and songwriter. He is probably most famous for writing the song "Mr. Bojangles". With his whiskey-and-cigarette voice, Jerry Jeff Walker embodied the era during the mid-1960s when pop, folk, and country music collided. His companions in those days were the "outlaws" of Nashville, Willie Nelson and Waylon Jennings, and other singer-songwriters such as Jimmy Buffet. Walker was a mainstay of the Austin sound, or progressive country, which became a worldwide commercial success in the 1980s. In the 1990s the gravelly voiced singer could still slide a ballad across a country dance hall or college auditorium. Walker's most popular song was the semisweet "Mr. Bojangles," a fable about a brief stay in a New Orleans jail. Walker has estimated that at one time there were more than 60 versions of "Mr. Bojangles" on the market. Artists as dissimilar as Tom T. Hall and Harry Belafonte interpreted the song; George Burns, Sammy Davis, Jr., and Harry Nilsson also covered it. In 1971 the Nitty Gritty Dirt Band had a Top Ten hit with a folk-oriented version. Ironically, when Walker himself recorded "Mr. Bojangles," it barely reached the charts. However, the ballad made him known to a national audience and sustained a lifelong "adventure with a guitar," as Walker observed to Rebecca Bailey of the Valley News in White River Junction, Vermont. Walker's exploits took him from folk venues in New York City to honkytonks in Key West, Florida, but most importantly, to Austin, Texas, where he wrote such tunes as "Gettin' By" and "Up Against the Wall (Redneck Mothers)." He also recorded memorable renditions of "L.A. Freeway," by Guy Clark, and Gary P. Dunn's "London Homesick Blues." Walker was born Ronald Clyde Crosby in the Catskill Mountains on March 16, 1942. He grew up in Oneonta, New York, in a suburban, middle-class family that enjoyed participating in numerous community activities. His grandparents were members of a square dance band, and his mother and sister sang in a local harmony group. As a teenager, Walker played guitar in several local bands around town, including the Pizzarinos, the Chymes, the Tones, and the Townies. He started at forward on the high school basketball team and wanted to bcome an astronaut. Later, the post-World War II subterranean restlessness bit him, and he quit high school to look for America, which for him turned out to be bars where he could sing for drinks and pass the hat. He returned to finish high school and graduated in 1960. The taste for the road stayed with Walker. After high school, he did a stint in the National Guard; upon returning home, he hitchhiked to Florida, where he participated in the first Spring Break festivities. Walker's first appearances singing and playing guitar were at venues in the burgeoning Greenwich Village folk scene, which later spawned performers Bob Dylan and Joan Baez. Eventually, his travels took him to the French Quarter in New Orleans, where he sang on the street for spare change. Throughout his decades of performing, Walker would often play 280 nights out of the year. One day, Walker was arrested for public intoxication during a police sweep, along with a number of other street musicians and dancers. They all had nicknames: Walker was "The Kid," while "Bojangles" was a white street dancer who paid tribute to the great soft-shoe artist Bill Robinson by stealing his moniker. Mr. Bojangles told his cellmates the tale of his late, lamented dog. Three years later, in 1968, Walker would recount the story in song. As Walker mentioned to Roger Kay of the Fort Worth, Texas Star Telegram, "Because 'Bojangles' had a kind of jazz/waltz beat, it meant more established people could do the song, which still had a very contemporary feel." 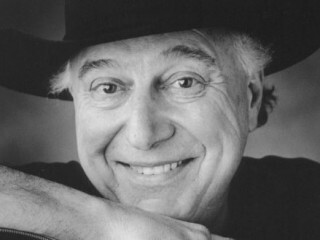 The performer adopted the name Jerry Jeff Walker in 1966. While in Texas, he met songwriter Bob Bruno. They formed a band called Lost Sea Dreamers, which later became Circus Maximus. The group relocated to New York in 1967 and won a contract with Vanguard Records. Walker lived on a shoestring. He told Kay in the Star Telegram, "We were based out of Austin, but we had gone to New York to try to make it. After we were there only about a week, all of our equipment was stolen. That left us in a financial bind. We decided to go where each member of the band knew how to make money quickly." He spent six months on the Austin bar circuit until the band could buy new gear and return to play gigs at clubs in New York. "Mr. Bojangles" came out in the first flush of the counterculture rock wave. The popularity of the song enabled Walker to sign as a solo artist with Atco Records. He built a house in the hills near Austin and embarked on an odyssey that took a toll on his body but left an indelible imprint on country music with the "Austin sound," a fusion of country, rock, folk, and hot salsa. In 1973 Walker again dominated the pop charts with the single "L.A. Freeway," the apotheosis of the new country mix. The song expresses the hope that the singer will make it back to his country home, if he can just get off the city's expressway without getting killed or caught. Walker signed a contract with MCA in the early 1970s and recorded a self-titled album originally cut on a portable tape recorder with some friends. His next album, Viva Terlingua, was a cornerstone of the country-western revival of th 1970s and 1980s. His mature style influenced many other artists, such as Nanci Griffith, Lyle Lovett, and Steve Earle. Viva Terlingua was recorded in Luckenbach, Texas, a ghost town owned by a man named Hondo Crouch and later commemorated by Waylon Jennings in a 1977 hit song. Walker began to celebrate his birthday in Luckenbach--an occasion that grew annually to Texas-sized proportions. Walker's "outlaw" persona became legendary. His wife, Susan, who took on the prodigious task of managing her husband in 1984, recalled his early eccentricities for People: "Maybe he'd throw a coffee table through a hotel window, or sweep his hat through an aquarium to catch fish." Walker himself has developed a wry but unapologetic attitude toward his past. He told the Birmingham News, "I think you have to have a little sense of humor about yourself as you get older. The harder it is for me to bend over, the more I drop things on the floor. I have to make more trips now because I forget the things that I went to get." Through the 1970s, Walker produced and appeared on albums with a group called the Lost Gonzo Band, who were known for their tight backup instrumentation. When Walker changed labels from MCA to Elektra/Asylum in 1978, the band launched a career of their own. Walker was never entirely happy with the procedures of corporate album making. He returned to MCA in 1981 but finally left to form his own production company. As he explained to Gene Harbrecht of the Orange County Register, "I did one (album) every six months for over ten years and it was just a lot of pumping out. Now, I spend a whole year, year and a half, two years on each project." By 1992 Walker had released his 23rd album, Hill Country Rain. Walker has always been an outstanding live performer. His shows draw audience members onstage for bawdy numbers like "Trashy Women" and "Pick Up the Tempo" and hush them with contemplations like "Hands on the Wheel." The latter is a typical Walker effort, a late 1980s prayer that looks back on his youthful days and proclaims a new serenity: "I looked to the stars, busted up a few bars/My life nearly went up in smoke/With my hands on the wheel of something so real/I feel like I'm heading home." In 1991 Walker landed a job as host of the television program The Texas Connection on the Nashville Network (TNN) cable channel. The success of that show brought him new, enthusiastic fans. Describing his audience of college students and older followers, Walker told the Birmingham News, "We call 'em flatbellies and roundbellies. [The younger fans] whoop and hoot and do that little I'm-not-worthy bow. They call me 'The Man.' It's kind of neat. They first heard me while riding around with their dads in old pickup trucks with eight-track players." Walker's renown as a performer filled auditoriums past his 50th birthday. In 1994 he returned to Luckenbach once more to record a tribute to his 30 years on the road, Viva Luckenbach. Walker is bemused about his continued appeal and told Claudia Perry, pop music critic for the Hoston Post, "Young people are interested in how people survive by not playing by all the rules. They're trying to check out their own theories to see if someone is happy who's done things his own way. I've done that, and I'm kind of happy.... Some of it is luck, some was good fortune and little was common sense." Jerry Jeff has an annual birthday celebration bash in Austin, Texas at the Paramount Theatre and at Gruene Hall in Gruene, Texas. This party has become an enormous event in Texas and brings some of the biggest names in country music out for a night of picking and swapping stories under the Austin skyline. Jimmy Buffett attended the 2004 Birthday bash. His son Django also often accompanies him at these parties. View the full website biography of Jerry Jeff Walker.